We have never had very good luck with peas. Sadly, our much-anticipated straw-bale project has failed; the pea plants are dried and shriveled and it's not looking good at all. The beauty of learning to grow things is that a small failure is just a speed bump. 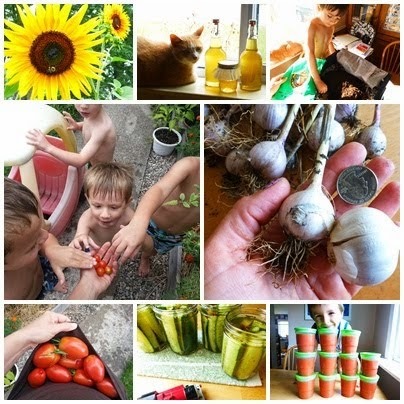 The kids and I can learn a lot more than we expected when we go about our garden projects: trying again after a disappointment is the key to a great life and a great garden! We had half a packet of peas left and decided to give it one more go, hoping for a small fall crop. Our whiskey barrel planter in the back yard seemed like as good a place as any to throw the seeds in and try it. Ella and Noah helped sow the seeds, and we've been watering them each day. We want some fresh peas, and we won't give up until we have them!